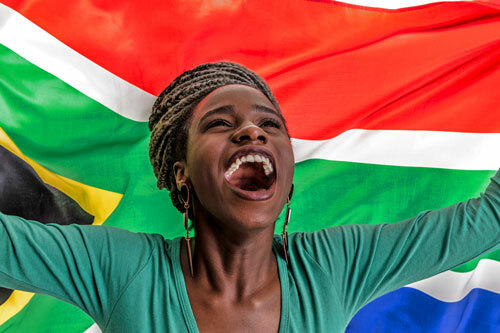 On 24 September 2018, South Africans across the country were encouraged to come together and celebrate their cultures and the diversity of their beliefs and traditions. We are a diverse population but we all have one thing in common – humanity. The nation belongs to all people, regardless of gender, age, race, tradition, religion. Together we share a sense of community. RADA explored the diversity that our colourful country so proudly flaunts. RADA was established in South Africa and despite our constant efforts to spread our message across seas and reach a broader audience, South Africa will always be where the heart is. With heritage day fast approaching, the team at RADA are redirecting their focus to all things local, celebrating the wonderful and diverse cultures of our land. This is exactly what RADA stands for and aims to achieve through the RADA Inspire campaign – a sense of unity, while still being able to celebrate our differences. This month is a celebration, a reminder of all the amazing things this country has to offer, despite its ongoing challenges. Over the last six months, RADA, through the RADA Inspire movement, has made significant strides in shifting people’s perspective when it comes to various social issues. Started in March this year, the RADA Inspire campaign has cast light on subject matter such as taxi and driver behaviour on the road, the treatment of service industry workers, bullying across schools and the workplace, family appreciation, winter comfort and lastly women’s issues. This month is a little different. This month is a celebration, a reminder of all the amazing things this country has to offer, despite its ongoing challenges. Once again, the aim is to shift perspective from the negative to the positive, creating a positive web of influence among the masses. It is important to remember that the only way to create empathy among people in the world is to start with those closest to you and empower others to do the same. We recognise that a sense of togetherness and the love and support of community vastly adds to our quality of life. Respect, tolerance and understanding of others is critical in creating a safe and peaceful environment for all. Be the Way. Be the Change. One day at a time.